Exclusive! 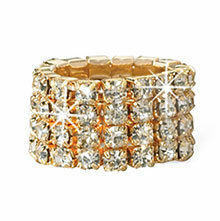 Fabulous gold or silver crystal stretch rings sparkle and shine. 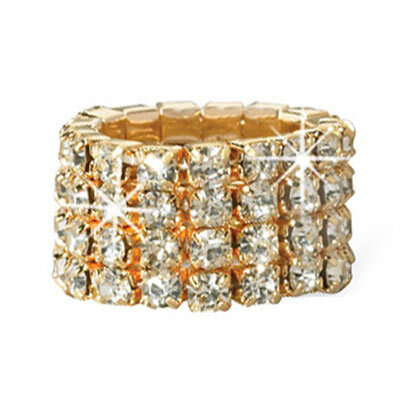 A popular fun fashion trend with four rows of dazzling crystals that make you glitter. Comfy stretch size fits most. Enlarged to show detail.